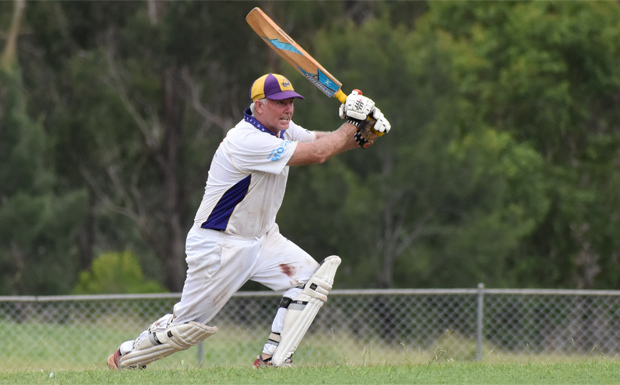 The rain held off long enough on Saturday for the South Burnett B Grade cricket competition to roll on towards the Grand Final on March 30. In Blackbutt, the home team earned the first spot – and the right to host – the Grand Final after downing Kumbia in a keen contest. 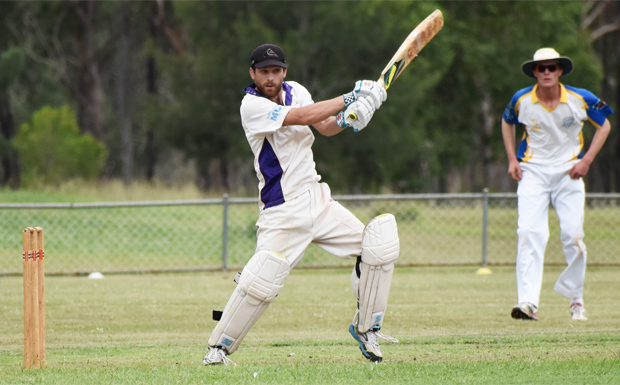 At Wondai, Murgon bowed out of the competition while Nanango earned a spot in the sudden-death Preliminary Final which will be played this weekend. Blackbutt finished on top of the table after the end of the 21 rounds which meant they hosted the Semi-Final on Saturday. The Timbertowners won the toss and batted first. Bowler Keegan Wright was lethal for Kumbia, taking six wickets for just 19 runs off 7.1 overs (including two maidens). Blackbutt were all out for 130 in the 21st over. Captain Mitchell Olzard top scored with 27, followed closely by John Snow with 25. A batting collapse haunted Kumbia in reply, with opener Bevan Fawcett falling for a duck … the first of six during the Rattlers’ innings. Roger Hoare (17) and Wright (16) both made starts only to lose their wickets to runouts. Top scorer for Kumbia was number three Shane Laherty who made a respectable 41. Michael Marriott (2/5 off four overs) and Chris Turner (3/23) were the best of the Blackbutt bowlers. Kumbia were all out for 102 in the 35th over. The Rattlers will have one more chance next Saturday in the Preliminary Final which will be played at their home ground. The Nanango Scorpions ended Murgon’s season in the Elimination Final played at Wondai on Saturday. Murgon won the toss and batted first. They were all out for 83 in the 24th over. Heavy rain the night before made the outfield slow, keeping scoring low. Opener Jonathan Kapernick was best with the bat, hitting 29 runs. Matthew Early was the pick of the Nanango bowlers, finishing with figures of 4/9 off four overs. Wicketkeeper Dan O’Connor took three catches. In reply, Nanango overtook the target in the 14th over. O’Connor (53 not out) and Stephen Kirkland (20 not out) accounted for most of the final score of 3/87. 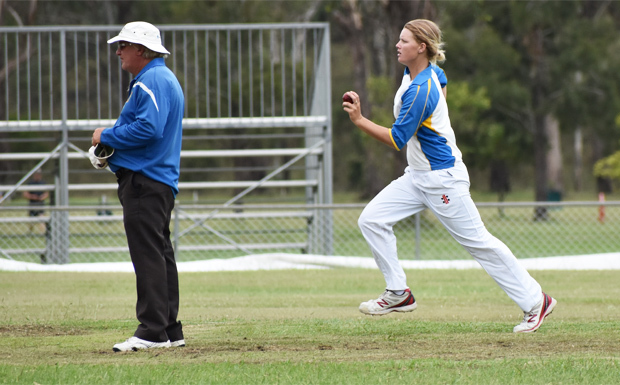 Ryan Sommerfield and Renee Irvine took a wicket apiece for Murgon, with the third falling to a runout. Murgon’s season is now over after finishing third on the ladder at the end of the regular rounds. Kumbia will face the Nanango Scorpions next Saturday at Kumbia to determine the second Grand Final spot. In the junior competition, Murgon Teys Junior Diggers (3/152) defeated Murgon Carney’s Feed Store Junior Crusaders (8/118) in the Stage 3 Final played at Murgon on Sunday. Lachlan Zelinski (34 ret.) and Christian Simpson (27) top scored for Diggers. The three wickets were taken by Crusaders’ Harrison Sippel (1/10), Peter Anderson (1/21) and Angus Hankinson (1/7). Jake Sippel (29 not out) was the best of the Crusaders’ batters, although all made a start. Nikolas Heness (2/6), Lachlan Zelinski (2/13) and Nathan Roderick (1/4) were the pick of the Diggers’ bowlers. In Stage 2, Kingaroy Burnett Water Yellow defeated Kingaroy Swickers Sunpork Red in the Final played at Taabinga State School. The Stage 1 Final, between Sunshine Mitre 10 and Northern Agriservices, will be played in Kingaroy on Saturday.